Norman Mokoena speaking at the summit. Brand South Africa recently extended its reach to the east of the country by encouraging all residents of Mpumalanga province to help build the nation’s reputation, or brand, and position it for global competitiveness. “Nation-branding can close the gap between rich and poor nations. Countries that are very good at branding are also the wealthiest, competing for their share of investors, consumers and visitors in a global economy,” Brand South Africa’s Dimape Serenyane said at the Stakeholder Summit in Mbombela, formerly known as Nelspruit. “If we all act with unity of purpose, we will contribute to growing our reputation in South Africa and internationally,” he added. Initiated by Brand South Africa and taking place in each of the nine provinces, the summits aim to increase regional participation in the nation-branding effort and encourage active citizenship – which, in turn, will help position the country as a top investment and tourism destination. Addressing summit delegates, Mpumalanga’s MEC for Economic Development, Environment and Tourism Norman Mokoena said: “We are happy to welcome Brand South Africa to our province to share ideas on improving the image – or the brand, if you wish – of South Africa. With a regional economy built on tourism, agriculture and mining, Mpumalanga needs greater access to export markets, investors and more tourists in order for it to grow, Mokoena said. 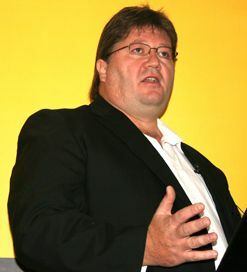 The province attracted 1.4-million international tourists in 2009 and generated 800 000 domestic trips in 2009. Its 2016 vision is to attract 2.8-million international tourists and generate 8-million domestic trips, according to the MEC. 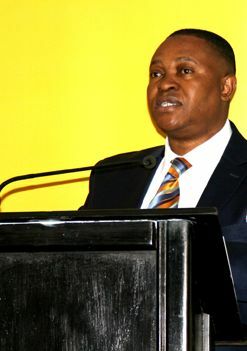 “A positive identity or favourable reputation will promote and consolidate Mpumalanga’s global competitiveness,” Mokoena added, provided there are enabling government policies and support from every resident in the province. Having an outward vision and an international presence will lead to inbound benefits, the MEC said. Despite these challenges, Mpumalanga is one of the powerhouses of South Africa with a regional economy comparable to the total GDP of Tanzania, Iceland, Panama or Jordan – and more than twice the size of Botswana and Zimbabwe’s economy. The province is blessed with deposits of coal, gold, chrome, manganese and iron ore; and boasts a thriving agricultural sector that produces maize, citrus, subtropical fruit, sugar, tobacco, cotton, wool, nuts and dry beans. Mpumalanga is also known for its paper and pulp industry, timber and manufacturing base which produces fertilisers, tar products and petrochemicals – among other goods. “It is up to all of us to pool our significant resources, our experience, our depth of knowledge and our creativity to collectively market our destination to an exceptionally lucrative global market,” Mokoena said. Each summit presents South Africans who, through their work and community initiatives, are already active ambassadors for the country. These individuals epitomise the unique characteristics, or pillars, of the South African brand – ubuntu, diversity, sustainability, possibility and innovation. Strong, successful nations “draw on their comparative advantages – or brand pillars – to attract the people, businesses and investment they need to stimulate growth”, Serenyane said. Mpumalanga’s Bird Machines is at the forefront of showing how local innovation can boost a province’s regional economy and thus help the country at large to be more globally competitive. The company was established in 1952, designing and developing equipment for the agricultural industry in South Africa. Many of its machine designs are still used in the agricultural sector today, according to the company. Over the years the company shifted to specialising in mining machinery, where it now focuses all its efforts. With more than 80% of the country’s coal being sourced in Mpumalanga, Bird Machines is ideally situated to exploit opportunities offered by the local market. Its entire product range – including towing vehicles, articulated vehicles, load-haul dumpers, graders and concrete mixers – is manufactured in the province. “The Bird Machines philosophy is based on quality products, exceptional service, and innovative solutions to customers’ needs,” said sales manager Mike Brueton. So successful has this approach been, that the company has been able to break into markets elsewhere in Africa and overseas. Its export destinations include Zimbabwe, Botswana, China, Chile, Zambia, Argentina and Australia. “We’re also making inroads into Peru and Tanzania as well,” he added. Bird Machines’ reputation received a boost recently when the company tendered in Chile to supply readymix concrete vehicles to the underground mining sector there. “We competed against suppliers from Germany, Finland and Canada and emerged as the company of choice,” Brueton said.